Early time in this year already brings dire news that slowly spread among the Sword Coast. 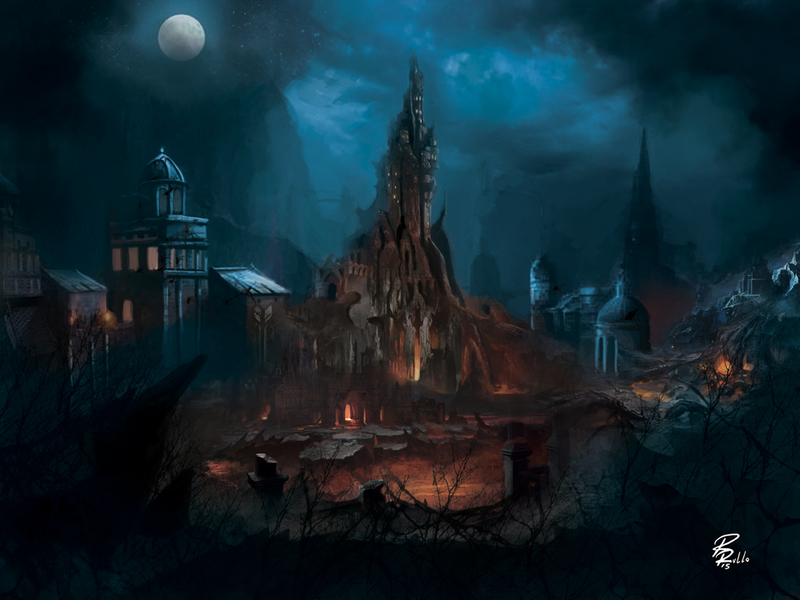 As recently several adventurers have discovered, the Dragonspear Castle appears to overrun with fiends from lower planes, laying claim to the once-ruined and now fortificated fortress. It's rumoured that a large warband of adventurers came together to try to quickly push back the infernal hordes before they may lay further claim on the castle, but alas they have failed against the small battalion of devils that they've met in field. Minstrels and sages recount stories of Dragonsprear Castle anew- century old ones. Few very old soldier veterans remember how it's not the first time the Dragonspear Castle has been taken over by evil creatures or monsters, but hardly anyone listens to them at the moment. What is clear, though, is that everyone's glad the Castle is far away and in middle of nowhere- as such it still does not pose any immidiate threat to any settlement, and dismiss the entire matter to be solved by brave adventurers that yearn to earn glory. 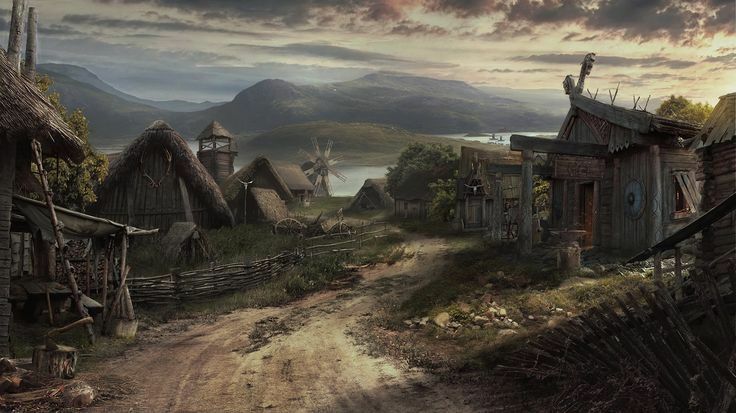 Unchallenged for over a year, the Zhentarim Outrider patrols of Darkhold around Corm Orp have begun to enforce the laws of the Zhentarim around the general vale regional area surrounding Corm Orp, but not within or immediately next to the settlement or upon its associated rural residences. Word arrives to Baldur's Gate from the North that Daggerford was under four day siege by an army of assorted monsters: Bugbears, orcs, goblins, ogres and trolls, led by strange looking, tall orcs. The siege was eventually broken with help of adventurers from Waterdeep, and the monstrous army retreated from Daggerford for now, however the situation remains dire. 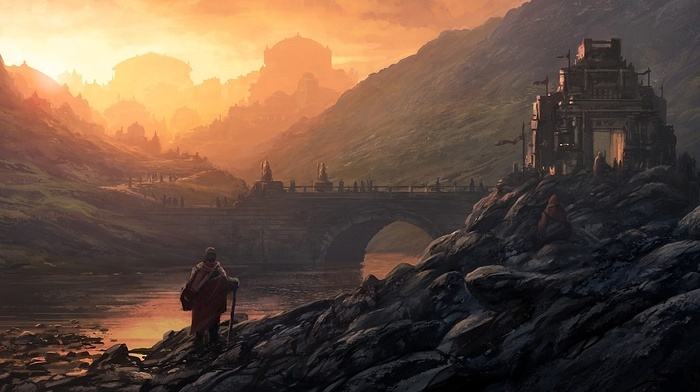 Runners say that the Trade Way experiences increased attacks of orcs and other monsters upon caravans and merchants began hiring larger numbers of guards, as well as the more experienced ones to travel from Waterdeep towards Western Heartlands. The general population of Baldur's Gate has mixed feelings about those news, as well as nobility of the city. Word reaches commoners, though, that Khelben "Blackstaff" Arunsun has made a sudden appearance at the Palace and requested immidiate audience with the Council of Four, which was granted to him right away. The purpose of his appearance remains a mystery. Rumours spread across Baldur's Gate that few runners hailing from Kheldrivver have been warning travellers and settlements against a rising new threat. Supposedly scouts of the small settlement have noticed that the Troll Kingdoms of Troll Hills have been moving a large number of their troops to the eastern fringe of their mountain range, their realm. Settlements down in the Fields of the Dead are, quite understandable, terrified of these news, and many don't know what to do, aside of abandoning their fields and homesteads to run away south, which some of the locals at the Gate aren't looking forward to; Fields of the Dead are known to be fertile lands which often give a good food supply backbone for cities in the Western Heartlands. 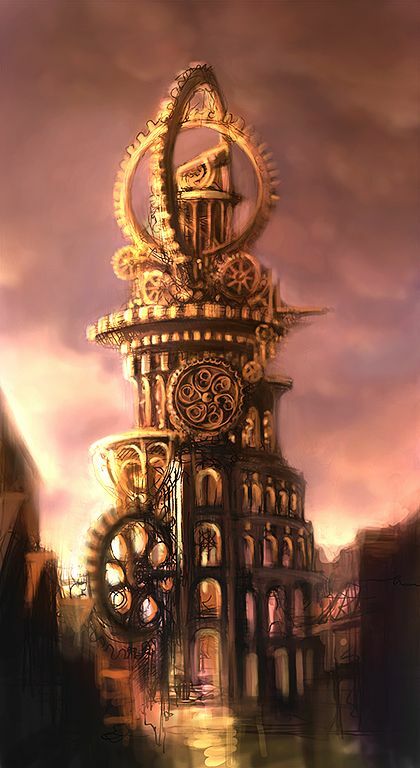 Merchants that have recently passed through Soubar and came to Baldur's Gate (as usual, in haste to avoid monsters living there) can be heard speaking that the place's atmosphere is "Even more dead than my ten years dead grandmother, Lathander rest her soul." Considering the proximity of the tent settlement to Troll Hills, denizens of that place aren't looking cheerful either to possibility of being attacked. 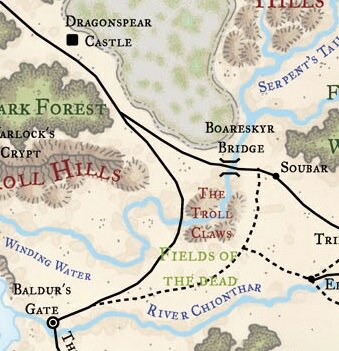 Rumors circulate once more from runner's leaving Kheldrivver that the army of the Troll Kingdoms of the Troll Hills has moved south-east of Dragonspear castle . 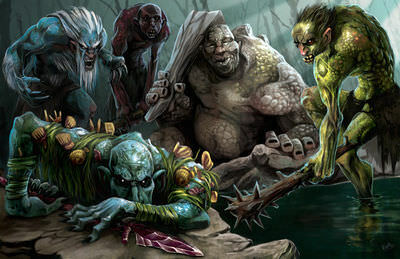 In their current position they plague the Trade Way running between the Trollbark Forest and the High Moor. They are also easily posed to raid Soubar, Kraak Helzak, or the fertile farmlands in the Fields of the Dead along the Winding Water. Odd wraiths and even more odd glowing slime covered trolls have began to appear in Boareskyr Bridge, the edges of the Troll Claws, and in the Fields of the Dead. A few whisper stir that they are forward scouts. 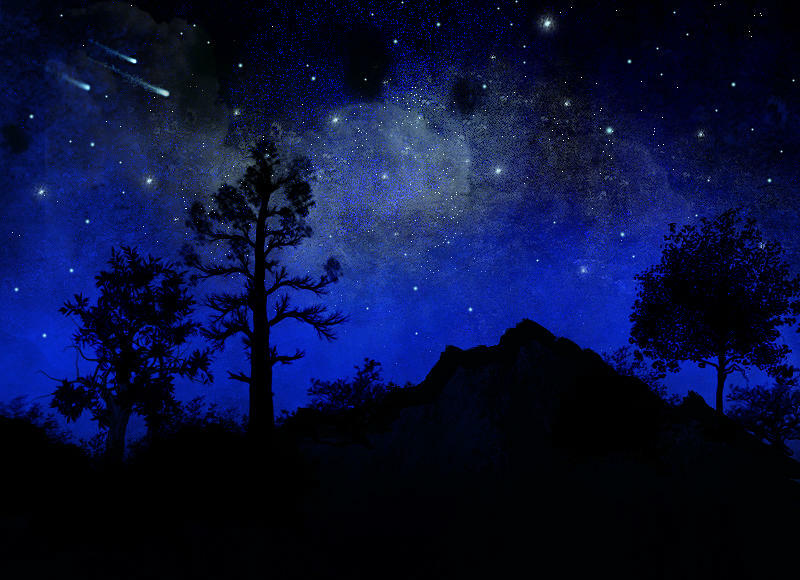 A sign of ill omen appeared in the sky as several smaller comets appear and cross in front of Selune. The local lycanthropes of Soubar seem to take this as a warning. Those faithful to Selune see it as an omen of coming calamity. Those faithful to Malar see it as a sign for a great hunt following an incoming calamity. In either way, the majority of Lycans soon depart from Soubar. Survivors from those travelling the Northern Trade Way and it's outlying villages quickly spill south reporting that the Army of the Troll Kingdoms has began it's march south. In less than 3 days time it will reach it's target. It is still unknown where this army will head but the Farmlands in the Fields of the Dead, Kraak Helzak, and Soubar are all prime candidates for attack. In response to the dire news, the lawless town of Soubar, normally scattered with the many tents of it's transient denizens experiences a mass exodus, like cockroaches before calamity. Many head to Scornubel while others scatter like dust in the wind, finding a place to weather the storm. While the rallying of the Ebon Blades gave a moment of hope, it was surely not enough to convince any of the brigands and outlaws to stay and defend the town. Only a very few brave souls remain in Soubar, though Mag remains at the center. Making her own preparations, the liquor stores of the Winding Way have all but dried up, a sign of her plan and foresight of events. Still she remains, though quiet, in the eye of the storm. In the Troll Claws a stark contrast is occurs, the dwarven fortress of Kraak Helzak has come to life in activity. After the advice of many of the King's Council, King Battlehammer is rumored to have declared that those trolls whom dare enter his battlefield of the Troll Claws, will face him and his army in battle. That he personally shall spill their blood to stain the mountain as a reminder for years to come. Envoys from the Radiant Heart have already arrived and received a warriors greeting in preparation for the events to come. In the Fields of the Dead, a contingent of the Flaming Fist Mercenary Company has began emergency evacuation from many of the farmlands scattered on the fertile lands surrounding the Winding Water. 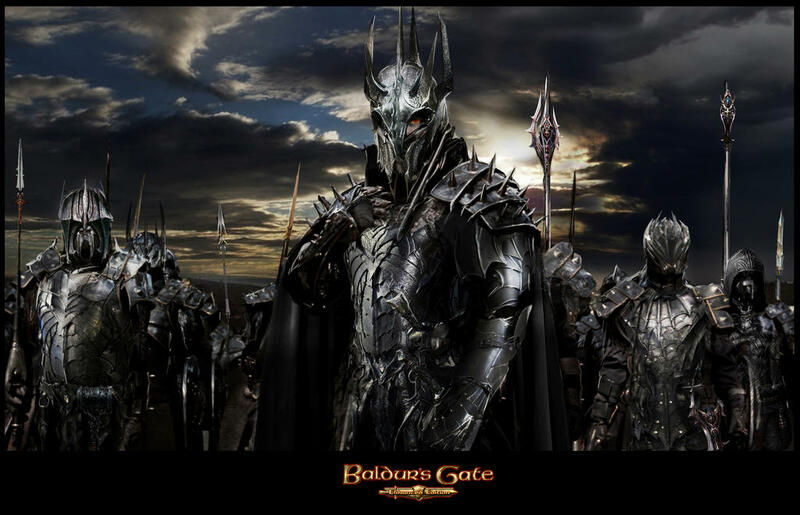 Those fleeing the incoming calamity head back to Baldur's Gate. The Fist make certain to evacuate as many people and livestock as possible. As the evacuation reaches completion, the Fist themselves start setting up patrols and a perimeter to monitor activity in the area. They settle into the area along the Trade Way just west of the Troll Claws. Many eyes move to the North Watch as the threat begin to escalate. ///Time that events will start will be Saturday May 5, 2018 at 17:00 GMT. Events will occur in two phases. Phase 1 will be small, short encounters across the three potential battlefields. At this time PCs are welcome to travel between them to finalize where they wish to be. Phase Two is the climax event series. During this time PCs will be locked into which battlefront they wish to occupy. Events will (hopefully) be transpiring on all fronts in parallel. In the event that we do not have the DM coverage to do so, we will run the events in series though per lore they will be considered parallel timings. The Flaming Fist outpost at the base of the Trollclaws along the Winding Water remained in good condition. While a few caravan's leave, their discipline and structure led to minimal losses, now aboard wagons heading back to Baldur's Gate. The farmlands south of their position were safe, those who dwelled there survived and the crops survived as well. Preserving life is commendable but keeping the crop alive means a steady and sure future for the poor in Baldur's Gate, keeping the cost of food from inflating and being taxed heavily for importation. The attack on the outpost was brutal and heavy, the trolls making good time across the open fields, forgoing the mountainous terrain in the Trollclaws. The battle was fierce but the steadfast determination and discipline of the defenders, both Flaming Fist and their allies, left troll bodies piled high. Now, the Flaming Fist outpost is a bustle again, further fortified in the aftermath while patrols venture into the Trollclaws with the Hellriders of Elturel. Much as with in the FIelds of the Dead, the Hellrider cavalry route out trolls and chase them into the jaws of the Flaming Fist. The long-time allies work together to clear the roads and paths towards Kraak Helzak so supplies can once again flow into the dwarven stronghold. The battles at Kraak Helzak were far more severe, becoming the target of Queen Juma the Frightful and her legions of trolls. While her army was initially struck and divided by an unknown enemy from the north, the Queen regrouped after ravaging Boareskyr Bridge and Soubar and moved onto the dwarves of Kraak Helzak. A large part of the forces led into the Trollclaws while a smaller part of the army splintered off under Warlord into the jaws of the Flaming Fist and their allies. The stoic stouts met the threat of Queen Juma head on as King Battlehammer led his troops. The battle was fierce and King Battlehammer was direly injured in the exchange while the stout ones fell back and regrouped in their hallowed halls. The retreat was not without sacrifice. The stout ones proved a worthy adversary after outwitting the Troll Queen by collapsing the bridge she was on, drowning her in the deep waters below. The blow a severe one to the armies and the siege broken. 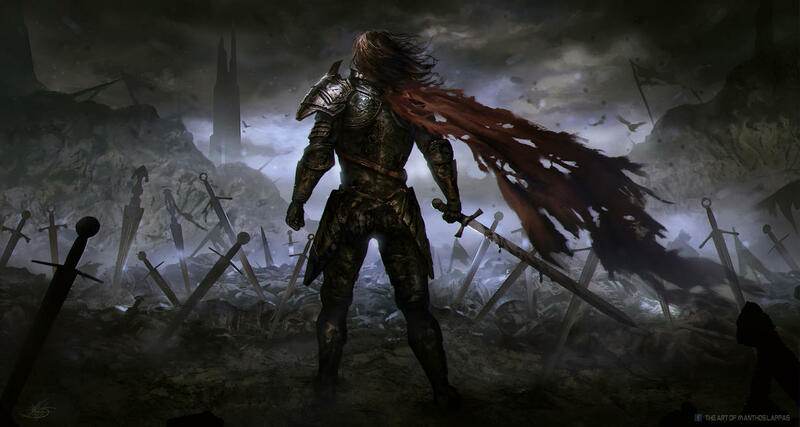 Boareskyr Bridge and Soubar suffered the worst fate in the series of events, suffering the full, targeted onslaught of the Troll Kingdom's Armies. Survivor's whisper talk of devils in the exchange though. Boareskyr Bridge and Soubar were both drawn into complete chaos with blood and gore being sprayed into the air like paint on a canvas. Those passing by Thundar's Ride over the past few days may notice a residual plume of smoke wafting up from burnt grown. 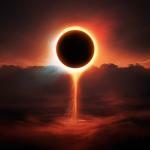 It seems to burn deeply into the ground, for days on end. 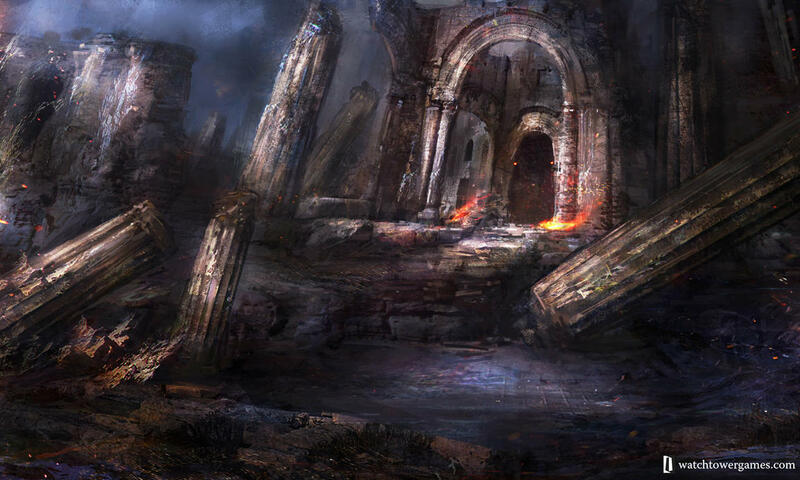 Rumors tell that it was an underground relay station for a caravan network funneling goods to Dragonspear Castle. The relay station is rumored to have been central to a network developed by agents of the Slug Lord, Baalzebul. Their purpose to bring wealth and supplies to fuel their efforts in both Maladomini, the Sword Coast / Western Heartlands, and elsewhere in Faerun by utilizing the portal in Dragonspear. 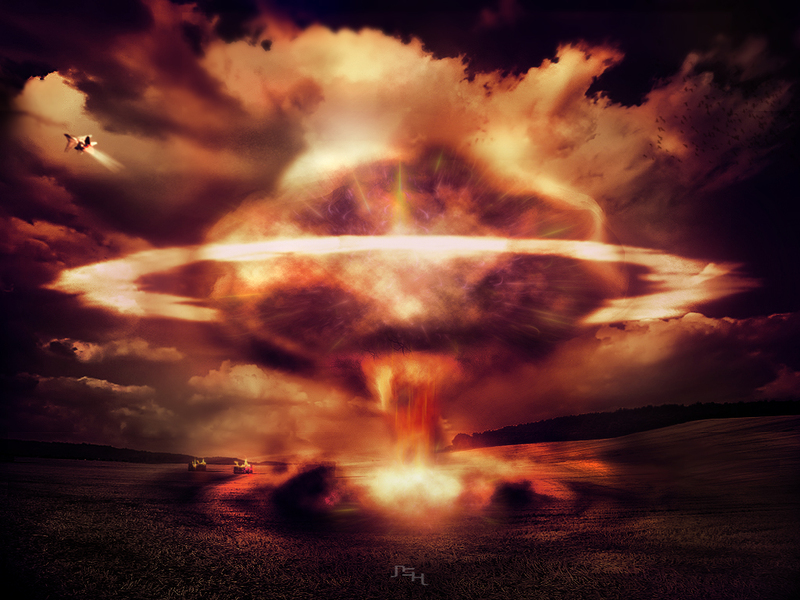 The "controlled" explosion is said to be thanks to Linabolt Glitterdyne who is a Lead Researcher in Applied Technological Advances at the Dippledop Research Initiative. The renegade noble himself, Fluazifop Dippledop, captain of the Hardly Floatsum, was said to also be present to aid his companions in extracting revenge on the dastardly Gideon. Gideon, whom met his demise in the underground layer. Some whisper that an intimate moment was shared between the gnomes as Lina's devices were set off in a blazing inferno. Diclofop Dippledop, Patriarch of the Lantanna noble House Dippledop and leader of the Dippledop Research Initiative is said to be quite thankful for the involvement of the adventurers in both taking down the Slug Lord's agents, keeping his rebellious son safe, and most importantly, reuniting the father and son. In particular he has been speaking the praises of two individuals: a dwarf named Grendunor and a tiefling named Kitsy, who's involvement overall was the deciding factor in thwarting the Slug Lord's agents. Diclofop looks forward to the continued success of the Initiative and getting research back under way once more, this time, with his son at his side. Over the course of the last three tendays, Soubar experienced a slow and gradual return of its denizens - monsters and humanoids alike - from the massive exodus that had taken place in early Mirtul of 1354 DR. The local merchants have yet again set up their makeshift stalls, and it would seem that it's business as usual, for the most part. Admittedly, those more observant would notice that some wares tend to run out quicker than usual and restocking takes considerably longer. Tents, small encampments, and campfires are again a common sight within the ruined walls surrounding the settlement. Nowadays, the consumption of ale at the Winding Way Inn has doubled. Consequently, Mag would appear more preoccupied with her business than she has been in a long while. As tensions rise with the growing threat of Dragonspear, Elturel’s leadership have worked tirelessly to aid the war against the fiendish threat to the North. Citizens prepare for the worse, ensuring their livelyhoods may remain whole in these desperate times. Meanwhile, criminal activity had gained footing in leu of the threat, instilling fear into the citizens residing on the eastern portion of the city state's lands. With attacks, kidnapping and pillaging becoming more common, foreign aid has stepped in to augment the city state’s law enforcement. 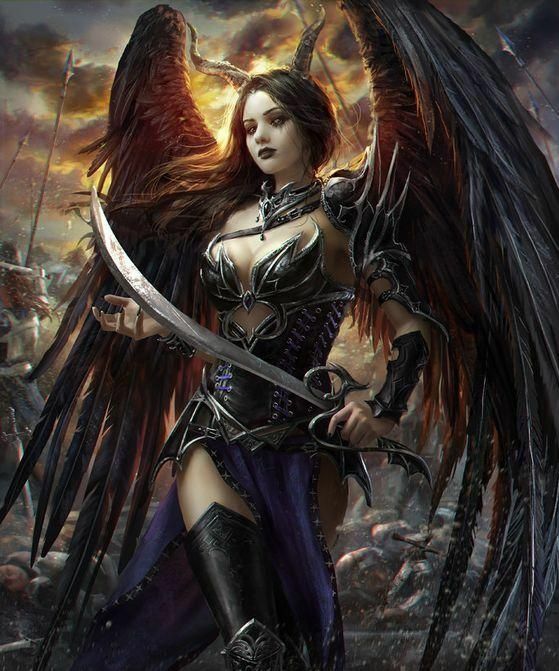 With many resources spent on tracking down the root of the recent spawn of criminal organizations foreign aid, such as the Sword Coast Commerical Exchange and even Candlekeep, have stepped in with generous donations upward to, rumoured, one million. As the crime subsided and the criminal groups were scattered one by one, the city state started to funnel resources into its military, starting with a large recruitment drive. As word spreads on the Sword Coast and Western Heartlands, some mercenaries, or would be soldiers signed up in masses, hoping to pass the strict standard set by Elturel. Those who are deemed fit will serve in a Military Auxiliary Force set to augment the forward operating base the famous Hellriders have set up to combat the fiends, and provide aid to the city state patrols. The few who excel in their training may be offered a position as a Hellrider, receiving specialized combat training focusing on cavalry. 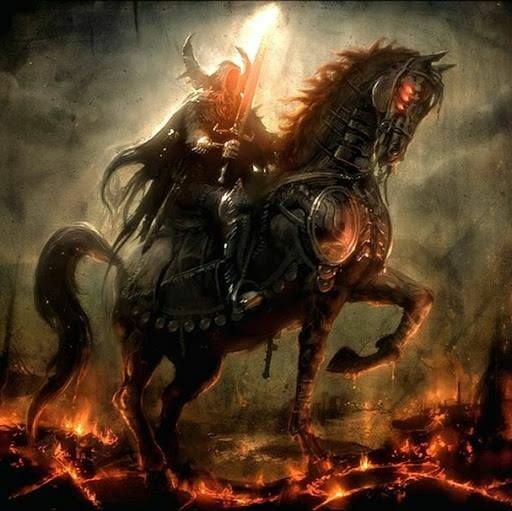 With the increase in numbers, patrols throughout the city state have increased significantly, while the Hellriders have rumored to send the majority portion of their specialized group to the, now slowly drawn, front lines.